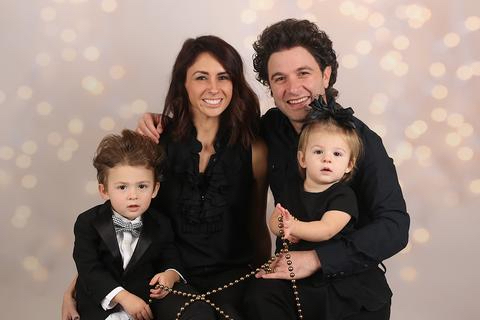 When Constance Amedore had her son two years ago, she pictured him wearing bright, knee-high socks, much like the basketball socks she used to wear. When she shopped around to snag a few pairs of the socks she had in mind, she couldn’t find what she was looking for. And none of the socks she found were very good about staying up. Her sock enterprise soon turned from a simple mission into an actual company, which she called Little Royal Two, in honor of her two children. 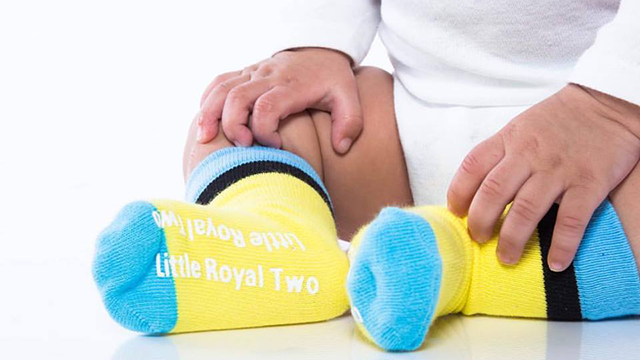 Constance Amedore created her children’s sock company “Little Royal Two,” because she had trouble finding socks for her baby boy that were stylish and stayed on. But the business wasn’t just a hobby. Amedore found a high demand for the socks — the company sold 10,000 pairs during its first year of business, and made $25,000. Since it began in 2014, Little Royal Two has expanded to five countries and 38 states. Its biggest order? A subscription box company specializing in baby products bought a whopping 7,000 pairs of socks. But Little Royal Two wasn’t (and still isn’t) her full-time job — Amedore works as a special education teacher by day. When Amedore started her company, she didn’t have a business background, so she taught herself everything. “I never had any formal business training, but I Googled every aspect of what I needed to know to open a business, and just went with it!” she explains. Amedore used Facebook, Instagram and Pinterest to spread the word about her business, along with email marketing campaigns. She spent a lot of time analyzing exactly what she wanted her product to be, and her husband contributed a few ideas, as well. She spent a year Googling manufacturers, asking companies for prices and samples and fine-tuning the products, ultimately settling on a manufacturer in China. But, it still took a while to make sure the factory was producing the exact socks Amedore had in mind. “We went through many samples to make sure the socks were excellent quality, washed well, and stayed up, and were the exact colors we were looking for,” she explains. “It took a lot of time, sleepless nights and communication through email, but I am really grateful to my manufacturer for all her hard work and so happy with the product we have created for our customers!” Amedore says. Her first sale was to a mom she knew, who was thrilled the socks stayed up. “The first sale gave me reassurance that Little Royal Two would be a success,” Amedore says. While she still does most of the work herself, Amedore sometimes brings in people to help with certain projects. When she’s seeking a specialized skillset for a project, she doesn’t hesitate to hire professionals for photo shoots, website work and even public relations. In addition to social media, the company is also working to include the socks in a number of “baby boxes,” the popular variety packs sold within the U.S. and in other countries. Amedore approached several box companies and has been featured in Bluum, Citrus Lane, and Sassy Bloom (from the U.K.). “These boxes go to moms and dads looking for baby products for their babies and toddlers,” Amedore explains, adding that marketing directly to parents or those expecting is the way to go. She encourages other entrepreneurs looking to get featured in baby boxes to contact a variety of different companies that feature similar products and see what each needs in terms of quantity, size, and pricing. Amedore says she received many orders from people who received the socks in the boxes because, after trying them out, they wanted more. But one of the top ways the brand has grown is from satisfied customers. The majority of sales, aside from the baby boxes, come from social media. How does she balance her business with her day job as a special education teacher, while also parenting two young children along with her husband? Setting priorities is the key to getting the most important things done, Amedore says. In order to keep everything running smoothly, Amedore has also mastered the art of time management and scheduling her days to include everything she wants to get done. This often means Little Royal Two business happens after her kids are fast asleep. She also loves everything she does, from her teaching job to her business and family life, which also helps the balance. As for her side job, she says business is doing great and each month is busy. Sock sales vary by season, but she usually still sells a couple hundred pairs each month. She’s hopes to expand to other baby apparel in the future. Your Turn: How are you balancing your side gig?